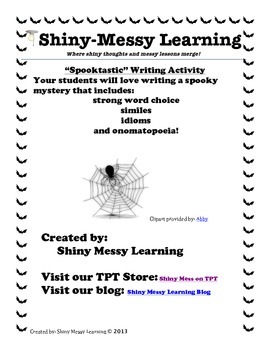 Your students will use the activity to spookify their writing! Their stories will include strong word choice, similes, idioms, and onomatopoeia! Each year my students love to write their stories and share them with the class after our book character parade! 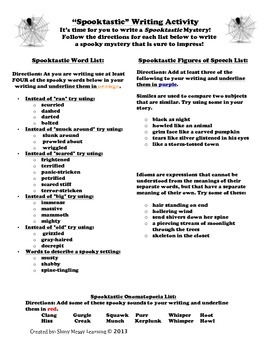 I hope your students see their writing improve with the included lists, and that they learn a bit about the figures of speech too!